Another week bringing yet more exciting news here at London Visual Arts – LoVArts. 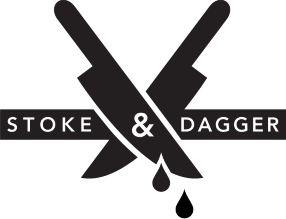 We are incredibly proud to announce our new partnership with Stoke & Dagger, who have kindly agreed to be one of our sponsors for ‘Infinite London’. Specifically, they will help us take new exciting strides in preparation of the exhibition: our crowd-funding campaign, which will be running from June. Founded in 2011, Stoke & Dagger has now established itself as a leading video production company in London, specialising in creating broadcast high-quality film for digital platforms. Their expertise ranges from filming to editing, from graphic design to motion graphics. It covers all aspects of video marketing and production for advertising, social media and event promotions. Their clients include well-known international brands and corporate clients alike, from media corporations such as the BBC, MTV, Yahoo and Sky Sports, to other established names such as Natwest, Redbull and O2. With such an impressive portfolio, we are thrilled that they have agreed to bring their invaluable expertise to our adventure. This will be part of our crowd-funding project, to help cover the cost of The Vaults – the incredible venue that will host our upcoming ‘Infinite London’ exhibition. ‘Infinite London’ will take place at the Vaults from 16th to 19th October 2014 and will showcase the works of emerging London-based visual artists exploring the overarching theme of ‘living’ and ‘feeling’ London. Through the exhibition, LoVArts’ mission is to bring together art professionals and audiences to reveal the still undiscovered talents at work in London. Submissions will be open very soon, so watch this space! This entry was posted in Infinite London, Projects and tagged Art, artists, artsfunding, arts_london, campaign, Chelsea College of Art and Design, collaborate, crowd funding, crowdfunding, emerging artists, exhibition, film, funding, Infinite London, infinitelondon, kickstarter, London Visual Arts - LoVArts, londonartists, londonvisualarts, LoVArts, media, production, promotion, social media, Stoke and Dagger, video, Visual arts, weneedyourhelp. Bookmark the permalink.